Does it feel like things are finally starting to turn a corner when it comes to online data privacy? 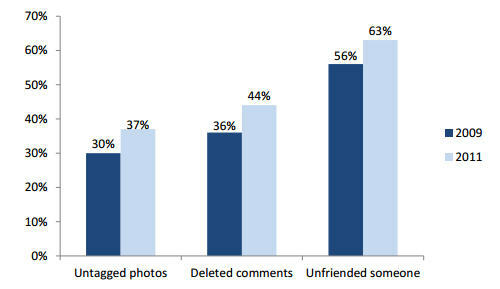 It seems like a lot more people are starting to care about privacy, at least as an issue, if not as a personal ethic. Sure, some people are starting to use Facebook’s privacy settings, but because those things change all the damn time, it’s hard to tell whether that will make much of a lasting difference. I’m also not convinced that people are seeing the writing on the wall when it comes to online privacy or the retention of their own civil liberties. People have never seemed to care that data is used to sell them stuff they “already want,” or that current and prospective health insurers are getting all sorts of data on what you Google. Nor do they care that their reading list–something the Founders would have considered sacrosanct–has been accessible by government since the PATRIOT ACT. People don’t seem to care about whether their information is up for grabs because they don’t understand how easily comprehended and quantified they are. Everyone thinks he or she is immune from easy prediction, but with the rise of big data, prediction is getting scarily smart. For example, analyzing Facebook “likes” is enough to predict a lot about your personality that you probably wouldn’t tell a stranger, let alone some amoral marketing firm trying to figure out ways to extract money from you. And in many cases, it’s not even a question of prediction; it’s simply data analysis because people live enough of their lives on the web for there to be sufficient data to determine all of those characteristics. On a small side note, this attitude has had serious implications. Except for Rand Paul and a few others who have been written off as right-wing loonies (and not without some justification), no one really seems to be talking about the near-omnipotence of government vis-a-viz individual civil liberties and freedom from state monitoring, as long as lip service is paid to the correct constitutional priority. Didn’t liberals care about civil liberties at some point? Wouldn’t they be crowing about the horrendous abuse of executive power if Bush was still in office, authorizing drone strikes or signing off on memos that allow for unilateral targeting and assassination of anyone it designates an enemy combatant? People have been placated in this permanent surveillance state by having Obama institutionalize the violations that began under Bush. In that way, greater damage has been done to civil liberties in the failure to restore them than the initial infringement could ever do. Government’s hunger for data also fuels its passive allowance of private companies to do its collection and data mining for it. Sure, government is constrained by the Fourth Amendment, but Facebook, Google, Apple, and the like aren’t. And they do respond to subpoenas. The customer demand for stronger data controls led to the introduction of the “do not track” feature. “Do not track” is a setting that can be now found on all the major browsers: Firefox, Internet Explorer, Chrome and Safari. When turned on, it asks sites not to track that person’s online activities. A Microsoft survey found that 75% of people were concerned about online tracking and thought the setting should be turned on by default. And then, there are the more forcible opt-out solutions, that can opt-out your data from being further used and abused. Sure, it’s more effort, but those who care enough can take the steps to opt-out. That scheme stands in stark contrast to the state of civil liberties, where an opt-out gives rise to automatic suspicion. It is getting hard to keep up with all these internet options isn’t it? Too confusing for me as an adult atleast. Maybe it is easier to understand by teens? It’s scary how much data companies collect on internet users. As for the government, it seems like both liberals and conservatives tend to view behaviors as more acceptable if their leaders engage in it, even if they get upset at the other side for doing the same thing when their party has the White House. I have not heard of the do not track feature, I’m so glad you mentioned it. Great post! This is an excellent post – very timely. I have been using the “do not track” feature for several months now. Privacy does concern me. However, I do wonder about why, if the use of data is so good, Youtube keeps trying to interest me in finding my Muslim soulmate when I am not single and not Muslim and why Facebook keeps trying to sell me wedding rings when I don’t intend to ever get married and electrolysis when the whole idea of it repels me. Even Netflix insists on suggesting movies as my “top picks” that I wouldn’t watch if someone paid me. No one is using my data to sell me things I have the slightest interest in. Ever. I don’t like my data being out there as much as I know it is, but the absolute stupidity of how it is used is beyond me. Why would anyone pay money to advertise products to someone who is not even remotely in the right market? And if there is so much data being collected (which it is), why is it they can’t figure out how to use it productively? There is something seriously wrong with the math they are using. The concern is still that your online data is immortal. It is frivolously cheap to store all of your information on hard drives forever. And even if the technology targeting you is horrible now, it will become progressively better as computing power increases, and the sophistication of advertisers increases. There is no reason that either of those forces will ever slow down, as that is the simple march of technology. And let’s say that you become successful enough to warrant more sinister attention…there’s nothing preventing one of Facebook’s “marketing partners” from selling your data to anyone with less scruples (e.g., criminals who might be interested in knowing that you frequent a certain restaurant or your fondness for your younger sister, politically motivated rivals who want you to do as they say lest they publicize something embarrassing that you thought was in the past, etc.). So, even if the ads don’t work now, that doesn’t mean that we shouldn’t be concerned over the fact that our information is systematically collected and stored, because some day someone might take a hard look at your data and figure out something you really wish they hadn’t. Oh, I agree completely. It’s chilling. I think it concerns me even more that it is so clumsy and off-base. Profiling incorrectly seems just as dangerous as profiling correctly. Especially since it seems clear that those using the information believe it is more accurate than it is. I thought this was about the hamburger chain. Glad to know it will not be changing owners! The saying goes “if the service is free then you are not the customer”, or something like that. That’s exactly right. People forget that internet companies are spending lots of money providing them services, and they’re looking to extract something out of that relationship. Online writing is like the old adage: The pen is mightier than the sword. Whereby in the old days they could have burned what was written, nowadays, what you write electronically appears on millions of pieces of e-paper, which is lost forever by the originator. Best to choose when you nat to go private or public, depending on what you write, hence why avatars are used when debating and insulting. Excellent post. I remember reading an ICT book last year which mentioned how our “personal life is becoming even less personal”. It is quite easy to retrieve a person’s complete personality via the internet. We may want our privacy, but we need to be the ones to control our privacy by limiting the access other people have for it in the first place. I wonder what would happen for example if someone were to set up a hotmail account and didn’t give hotmail their mailing address? Why do they really need it? Do people ever contact hotmail to ask? Yeah, subpoenas are used by governments all the time to get that kind of information, and advertisers want to know the geography of where their potential consumers are. The point is, the more the data collectors can correlate the better they can use that information to manipulate you, and there are scary examples of that. For example, what happened to Mat Honan (see http://www.wired.com/gadgetlab/2012/11/ff-mat-honan-password-hacker/) is somewhat related to lax privacy controls. Wise. I try to keep my public, private, professional, personal identities as much consistent as possible. Less stress from playing fake roles, more time to get one honest identity fully developed. Makes privacy somewhat less of an issue as well. The bummer with the “private browsing” setting on the browsers is that some websites refuse to work when that setting is turned on. That’s infuriating. All this online privacy stuff is really scary. It’s also so overwhelmingly big that I think no one really knows what to do about it. fantastic read…this whole privacy bit has become overwhelming now especially with sites like facebook changing settings every minute. Thanks for posting this…it’s like a public service. Keep it up, we need this. As easily as companies can track your likes by what you participate in, they can just as easily deduce your tastes from what you opt out of. Or just as easily tell which one you are if you’re the only person on your block not using Facebook, Google, etc. So true. Is it even possible to go untracked? Glad to see someone bring this up. Watch the 2006 German movie, “The Lives of Others,” about the Stasi (secret police) in 1984 East Germany. While fiction, it is based on the sort of thing that really happened. Scary to imagine what could be done (or already is) with today’s massive data collection. Do certain combinations of searches trigger an alert somewhere? Definitely a great suggestion! Thanks. As far as “triggering” or “alerts” go, I’m not the person to ask, but my intuition is that companies can continue to refine data as their processing power increases. The algorithms will continue to improve and the data isn’t going away, so the real issue is that there is no limitation on how much data can be used or searched. I don’t subscribe to Facebook. And don’t plan to. It’s enough that I blog. Here is a great post about government spying upon American Citizens. Ironically, I like the post, even if the author’s understanding of what the Founding Fathers believed was slightly weak. But, the accuracy about our government spying upon us should scare all of us. That is ok. I will read over time. I hurt for what America has become …. I hurt for our younger generations. They are scared. They honestly believe America will fail before they reach middle age …..
Good post. The more I find out about the lack of privacy, on and off the Internet…it scares the crap out of me. Have you read the piece in the Nation? Here’s a link, its an eye opener. cheers! Scary. I liked this post, so now the whole e-community knows more about me than I do.